At Denver CO Personal Injury Lawyer, we’re in the business of producing high-quality products that bring value to our consumers — and we have good fun in the process. As a reader and contributor to Denver CO Personal Injury Lawyer blogs, we expect you to offer quality comments and conversations that bring value to all of our readers. Additionally, as a user of this blog – reader, subscriber or commenter – we appreciate your participation and your point-of-view. Please understand that the comments and feedback posted to the blog are not necessarily the position or opinion of Denver CO Personal Injury Lawyer or our employees. Feedback and comments posted to the blog are solely the responsibility of the user, and although Denver CO Personal Injury Lawyer reserves the right to moderate the blog to ensure credible and appropriate content is posted, we are not responsible for the content that users post or how the content is interpreted by other readers. Please do not take any of these terms, or any blog entry or comment, as a warranty about the blog or any Denver CO Personal Injury Lawyer products. Denver CO Personal Injury Lawyer disclaims all warranties, including any about the accuracy, availability, timeliness, or completeness of any blog, and any implied warranties of merchantability or fitness for a particular purpose. 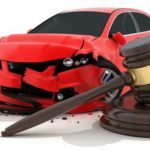 Neither Denver CO Personal Injury Lawyer nor its bloggers will be liable to you for any incidental, special, punitive, or consequential damages in connection with any blog, whether or not the damages are foreseeable or Denver CO Personal Injury Lawyer has been advised of the possibility of the damages.